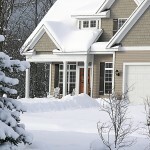 The King County Emergency Management department recently emailed out a list of weather preparation tips and useful information for the coming winter weather. With the especially cold temperatures we are forecasted to have over the next week we wanted to share this important information with you, to help your family stay safe and prepared. The below information includes basic weather preparation, how to prepare your home for freezing temperatures, and pet safety information, as well as a few tips for driving in ice and snow. We hope you take a few minutes to read the tips provided so you can have a safe and happy winter. Build a kit. Include food, water, medications, toiletries, a first aid kit, flashlight and extra batteries, warm blankets and clothing, and other essential supplies for every member of your household (including pets). Keep a kit at home and in your car. Stay informed. Monitor local radio stations for important safety information and updates. Be sure to have a battery-operated radio and extra batteries on hand. It’s also a good idea to get to know your neighbors. During winter emergencies you can help each other and share needed resources. Find more tips and checklists at www.takewinterbystorm.org. If you don’t have a separate shut-off valve, wrap outside faucets or hose bibs (i.e. foam insulated covers are available for about $3 at hardware stores). Shut off and drain in-ground sprinkler systems (follow manufacturer’s instructions). During cold, wet weather, keep pets inside or limit the time that pets stay outside. Provide outdoor pets with a dry, warm, secure shelter out of the wind such as a garage or insulated pet house. Even dogs that normally spend most of their time outside need good shelter in cold weather, even if it is only a garage. Gently towel or blow-dry your dog or cat if he or she gets wet from rain or snow. Check between the pads of their feet for clumps of ice or snow. Be alert to frostbite, which can be a winter hazard. Contact your veterinarian if you suspect your pet has frostbite. Frostbitten skin may turn reddish, white, or gray, and it may be scaly or sloughing. Always have fresh, clean, unfrozen water available for pets. Your dog or cat is just as likely to get dehydrated in the winter as in the summer. Snow is not a satisfactory substitute for water. Keep your pet warm, dry, and away from drafts. Make sure your pets have blankets or pads on cold floors. Feed your pets extra food if they spend a lot of time outdoors or if your dog is a working dog – staying warm in cold weather requires extra energy. Consider a sweater for short-coated breeds such as greyhounds and Chihuahuas before taking them outside. Also, realize that if sweaters get wet, they can actually remove heat from an animal’s body. If bad weather is predicted, check the forecast before heading out and adjust your travel plans if you can. If bad weather is forecast, consider postponing your trip. When key roads are closed due to snow and ice, access to communities can become severely restricted. Make sure to monitor road closures in your community and have a family back-up plan in case you are not able to get home. Equip your vehicle with all-season tires and carry tire chains. Know how to use your chains and dry fit them before storm season. Use caution when following a snowplow or sander by allowing at least two car lengths distance. Sign up for King County Road Alerts to receive timely information about road closures or hazardous conditions that have a significant impact on roads in unincorporated areas of King County.